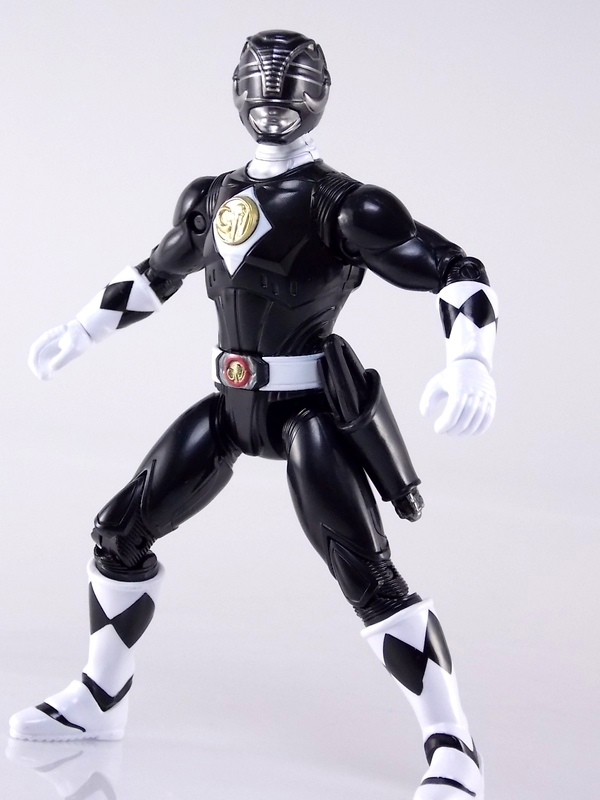 Once again here at TokuNation we’re taking a look at a brand new figure from Bandai of America’s 5″ Legacy Line. 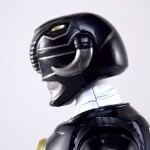 The original Mighty Morphin Power Rangers Movie Black Ranger! 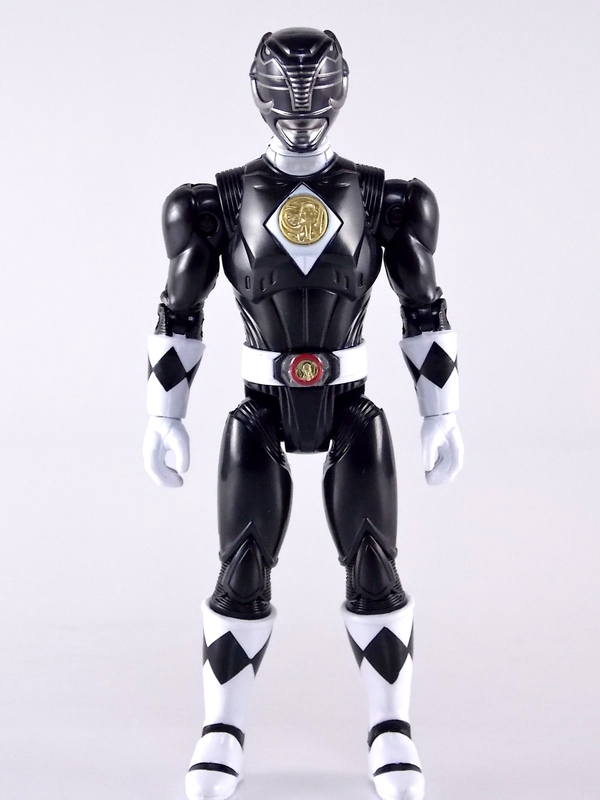 As with our previously reviewed 5″ Movie Red Ranger this figure marks the first time ever that the Movie Black Ranger has been portrayed properly in toy form. While nicely detailed the articulation is a mixed bag and the accessories are a bit on the lite side. 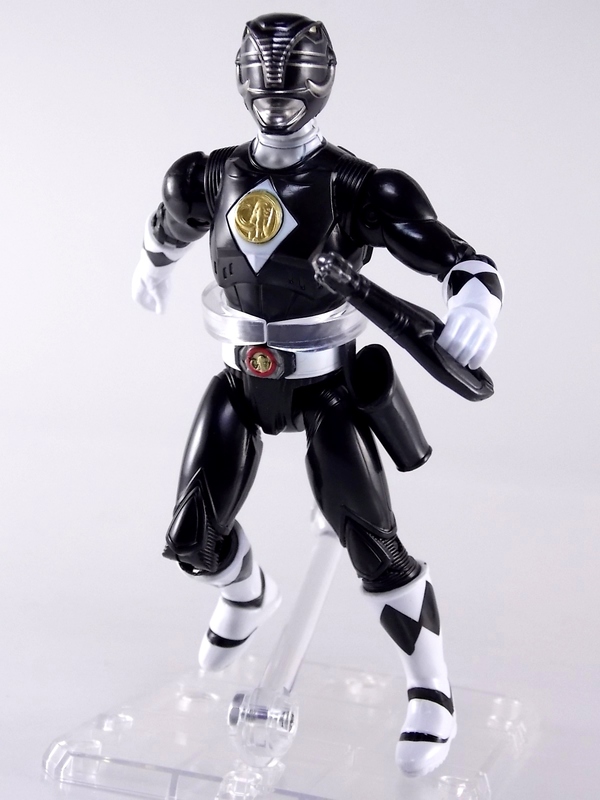 The Legacy Movie Black Ranger specifically comes with his Power Blaster sidearm as well as a holster but unfortunately that’s it. We break down the ins and outs of this figure, both positive & negative in the review after the jump. We’ve also attached a selection of images to this post but the full gallery thread contains 50 images of this highly anticipated new figure. 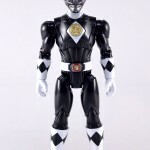 Be sure to check out the images & full review, with more than a few fun bonuses included, and be sure to share your thoughts on the 5″ Legacy Black Red Ranger in our gallery thread! TokuNation is continuing it's trip down memory lane with 1995 film Mighty Morphin Power Rangers: The Movie! 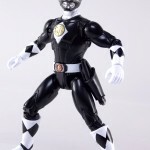 And the second figure we're in this series of galleries is the 5" Legacy Movie Black Ranger! 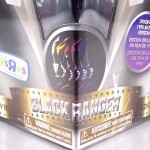 If you haven't picked up a Power Rangers Legacy figure by now, the Movie Black Ranger follows the same basic formula. Packaged in a triangular box Bandai has done the best job they could at evoking the look of the vintage toys from the original movie toyline. 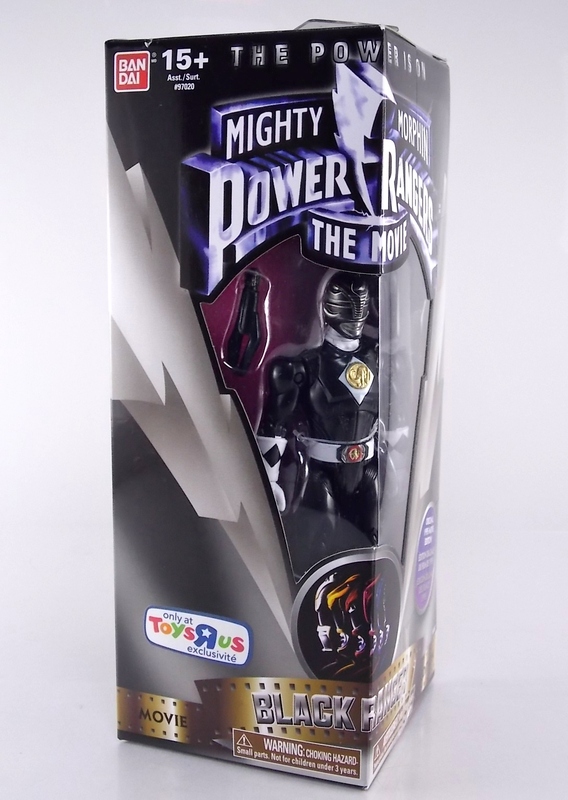 Just as with the Legacy Mighty Morphin TV themed figures this box perfectly replicates the look of the movie toys, right down to the more bare bones black & white colors. It may look a little more drab but it's still a great package. 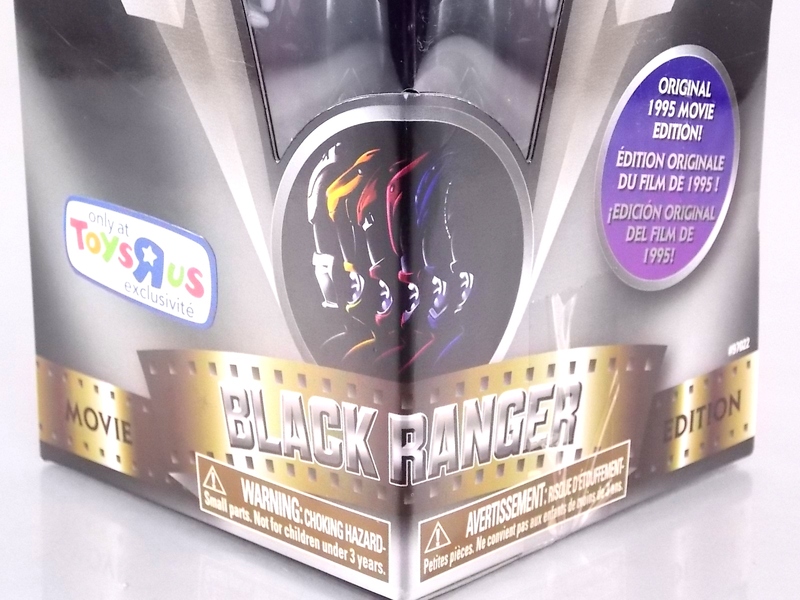 Included on the front of the box is a call out to the 1995 film and to further that connection on the back is a brief description of the films plot. Even going so far as to mention Ivan Ooze & Dulcea. 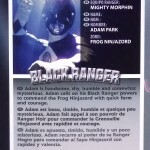 A brief bio about the Black Ranger (Adam) is also given. 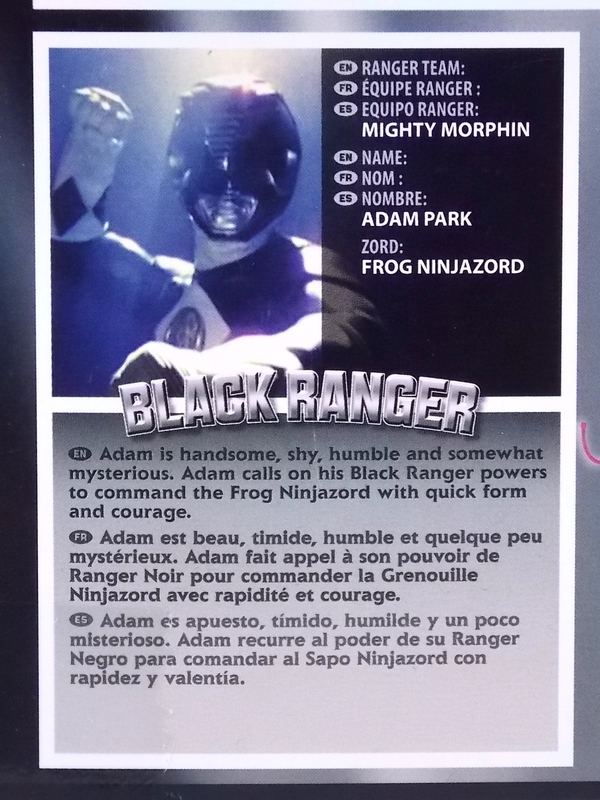 Oddly the bio only makes mention of his Frog Ninjazord, when technically speaking these figures are based on the rangers pre-ninja based suits from early into the film. The rangers received the ninja zords/powers after losing their original powers. Though the Mastodon and other dino zords were never seen in the film, Adam calls out "Mastodon!" 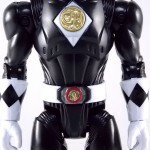 to morph in the initial fight, and the Mastodon coin is still present both on his belt and chest on this figure. An oddity but not necessarily a detriment depending on how picky you are. 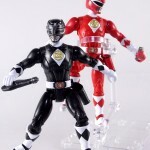 As far as 5" figures go the Movie Black Ranger offers a bit more than the standard fare. To start you should know that this line of 5" Movie figures is literally the first time ever that the actual movie designs have been put into figure form. 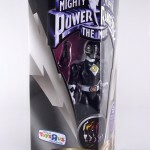 The original toys were mere metallic repaints of the TV show toys in movie packaging. But this figure is the real deal. 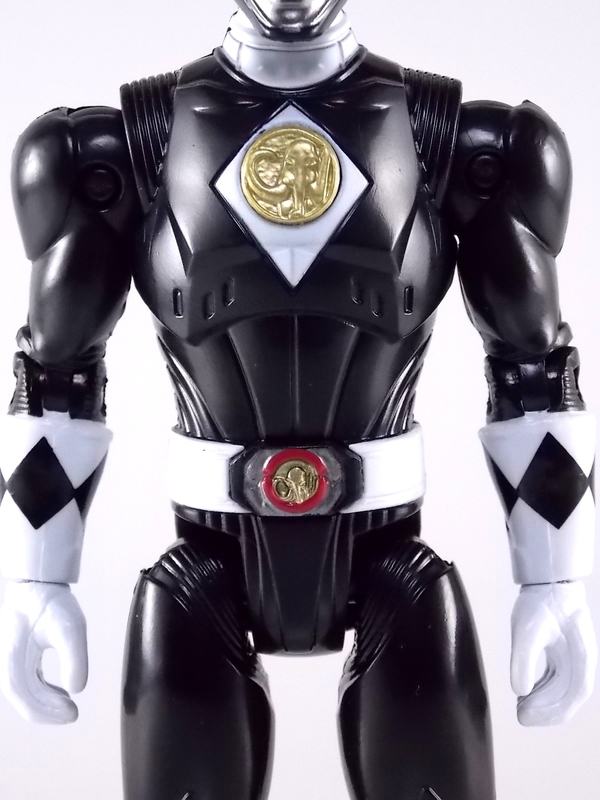 From a sculpt and detail perspective alone this figure is leagues beyond the generally simple toys of the normal Power Rangers retail lines. 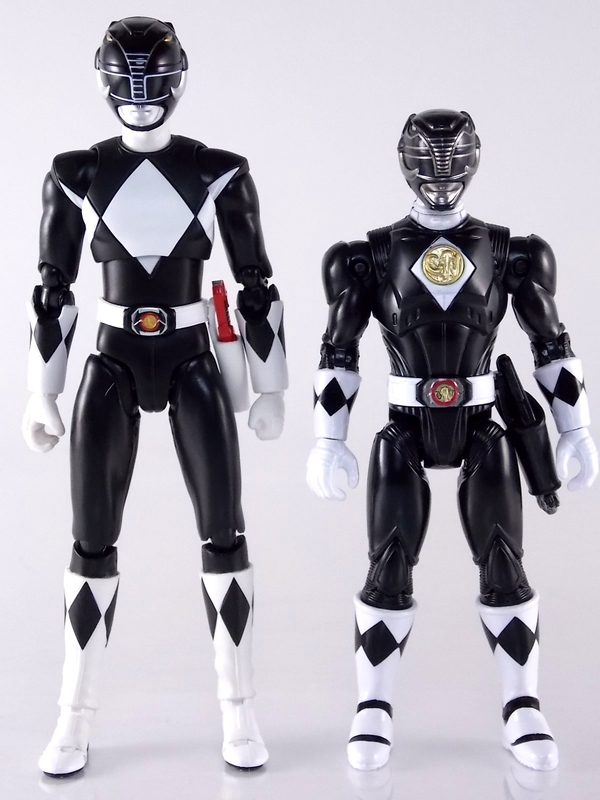 Where those 5" figures feel flat and artificially roided out, the movie rangers are covered in armored technological detailing that really goes a long way to replicating the look of the actual costume. Since these suits were more armor than spandex they had a lot of detail to them, so I'm pleased that the toy has managed to capture that. Though the finer details are pretty bad. 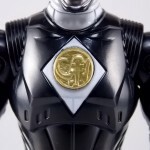 The morpher/belt area and chest emblem have incredibly soft details. They just aren't properly sculpted. and look like they're made of butter or something. The head is also a little bit off to me, a little fuzzy and undefined. Sadly the same can be said for the gray paint apps on the head. On the articulation front the figure has much of what we've come to expect. Hips that swing forward/back & side to side. Knees & shin swivels with surprisingly decent rocker ankles. No waist joint sadly. The arms however are as bad as I've come to expect generally. Simple shoulders that move forward & back and can't properly stretch out to allow the arm a full range of up/down movement. This is mostly due to the sculpted in shoulder pads, but it keeps the arms from getting into dynamic poses. 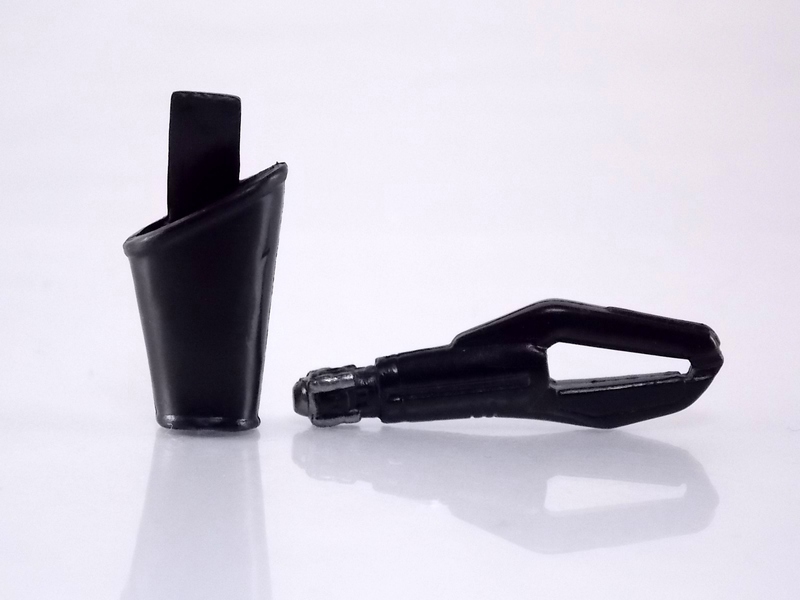 Elbow articulation is limited to a 90 degree angle only, and the wrists while on ball joints don't have much clearance to make use of them, they also pop off. A lot. The arms are kind of frustrating to me though as a whole. 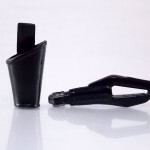 A simple bicep swivel could have made them so much more dynamic. The head is on a fairly decent ball joint that allows for a good bit of tilting in all the primary directions too. I honestly didn't expect it to be as decent as it is. If only it had a little more clearance in the back. 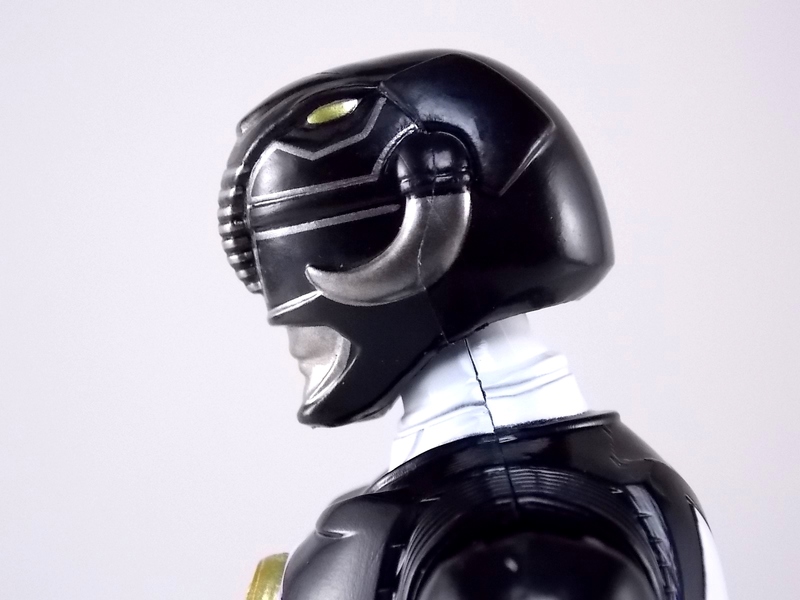 Also a peg hole is built into the left side of the belt area to accommodate the included accessories, or a similar one from another 5" Ranger figure. 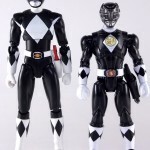 While I don't own the 5" Legacy MMPR TV Black Ranger to compare this figure too, I did have the S.H. 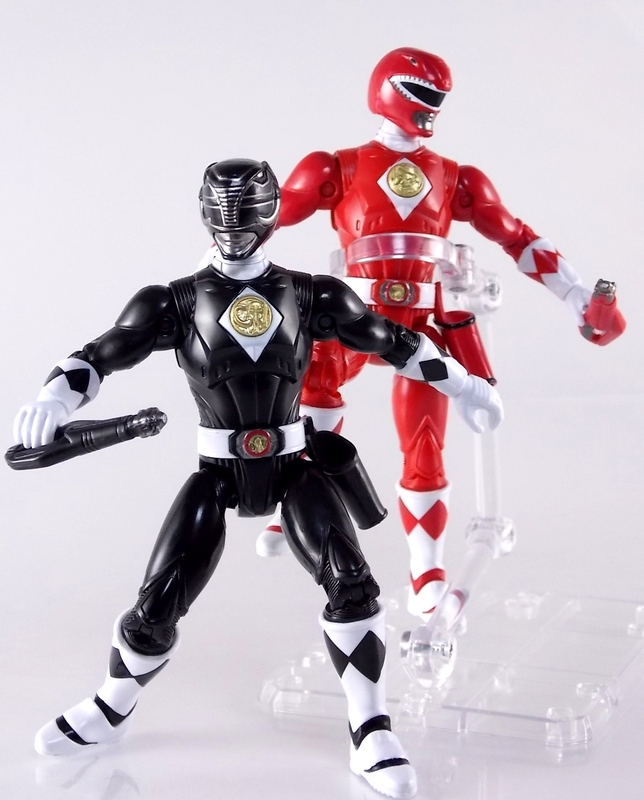 Figuarts Mammoth Ranger on hand for a general comparison. 1 - Power Blaster/Blade Blaster. This is an odd one. 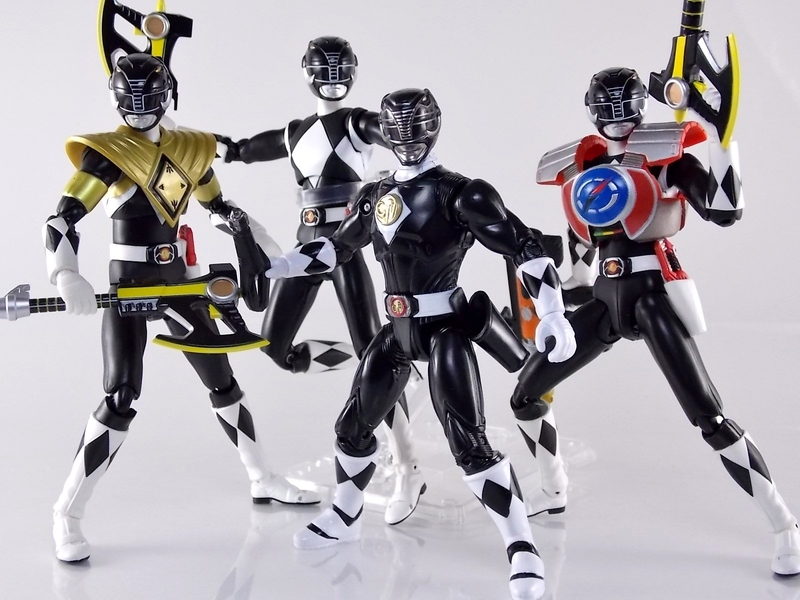 While this item most certainly is in the film, in fact the 5 core rangers each have one holstered in the movie, none of them are ever used or seen outside the holster. Though the name Power Blaster has been given to the unused weapon, it's apparent that it's very much meant to be the film version of the TV shows Blade Blaster. The sculpt is a bit soft but whats worse is there are only minimal paint apps on the tip of the blade. Nothing elsr. Just a cheap piece of softly sculpted plastic. Sadly that's it. The Movie Black Ranger comes with nothing else at all. I really expected at least the Power Axe to be included as some sort of bonus to justify the supposed collector nature of this figure and it's price. While it may never have been seen in the film, the Blade/Power Blasters were never used either despite their appearance. 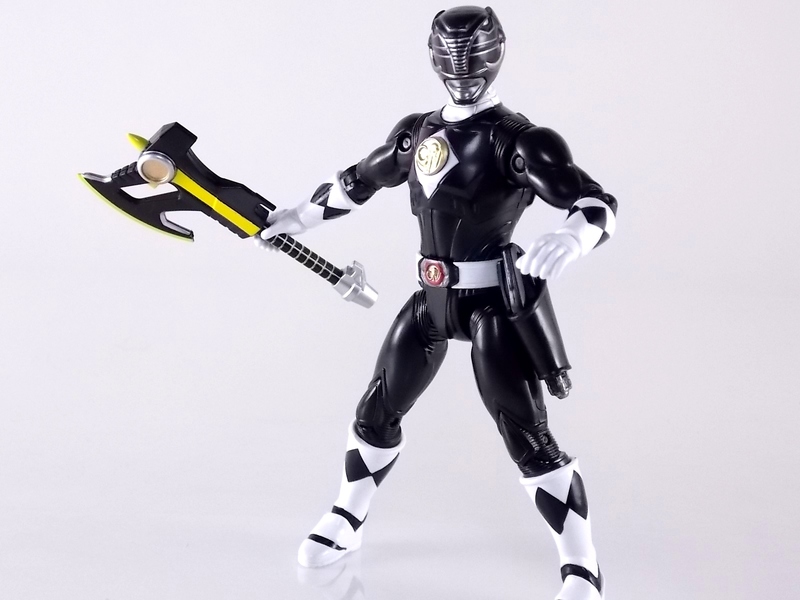 And the weapon could easily have just been a repack form the Legacy 5" TV figure. 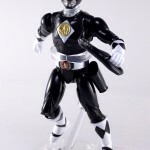 As with the Movie Red Rangers' lack of an additional accessory I expected better. But in the case of this figure which comes with nothing else at all I'm truly disappointed. For the characters who didn't use special power ups in the film they should have included something, even a repacked weapon to make them worth while. Like I said in the Movie Red Ranger review, I love that original movie. Terrible characters, plot, CG and all. The suit designs have never been properly put into toy form and that's what propelled my purchases here. 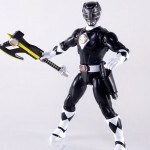 While I already thought the Red Ranger was overpriced at $16.99, the Legacy 5" Movie Black Ranger is even more so. It's a nigh identical figure with one less accessory and an already lite accessory count but for the same price. Despite my general love for the Black Ranger it's a tough pill to swallow. Can't wait till I find these figures! Is it just me or do his proportions look a little wonky. His arms look kind of stubby. His arms and legs are pretty stubby actually. It's kind of another knock I have against these figures on top of the lack of accessories and kind of weak articulation. He is now Stubbs McGee. 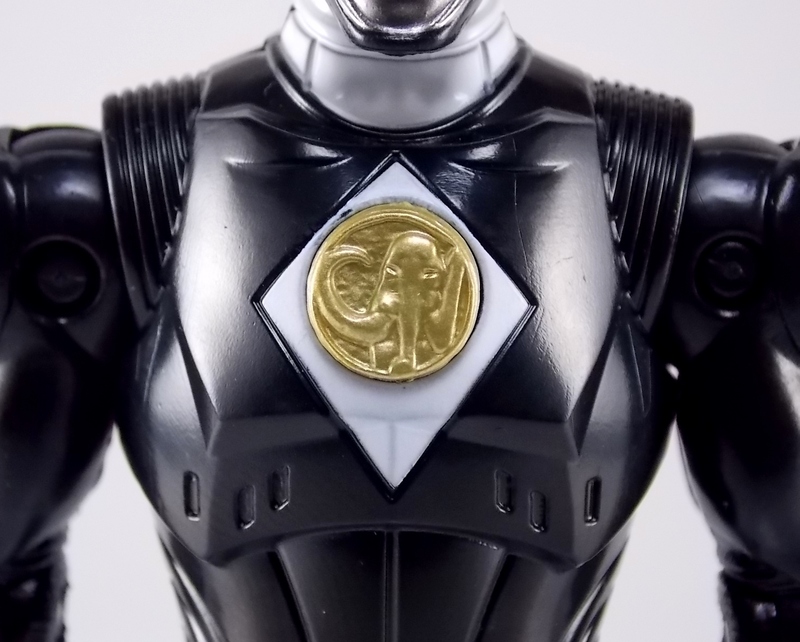 Great gallery as always, Mighty Morphin Den-O. The helmet really bothers me. It's just so narrow and the mouth looks huge. I think this confirmed for me that I'll be skipping this line. Movie figures sounded nice but ehhh, pass. Really nice gallery though. They really sounded like a dream come true but sadly they don't live up to my expectations. The helmet on black though you've pretty much nailed. He looks like he has a big goofy grin on his face. So when can we expect a re-release of these figures that have swapped chest emblems? I'm surprised you didn't include shots with the ninja zords or original McDonalds figures? No need to be surprised, I dont own either of those things.